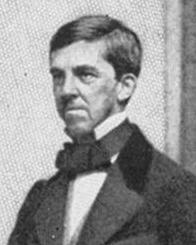 Oliver Wendell Holmes was born in 1809. He was the son of (?) Holmes and Sarah Wendell. Oliver Wendell Holmes died in 1894. American Author. Physician, Oliver Wendell Holmes, wrote the famous poem "Old Ironsides" about a U.S. naval ship. The ship later was made a monument; he also coined the word "anesthesia." Robert Hollis was born in 1590. Married Name Her married name was Beverley. Susanna Hollis married (?) Beverley. Susanna Hollis was born in 1613. She was the daughter of Robert Hollis. Susanna Hollis died in 1681. (?) Beverley married Susanna Hollis, daughter of Robert Hollis. Robert Beverley was born in 1641. He was the son of (?) Beverley and Susanna Hollis. Robert Beverley died in 1687. Peter Beverley was born in 1668. He was the son of Robert Beverley. Peter Beverley died in 1728. Married Name Her married name was Whiting. Anne Beverley married (?) Whiting. Anne Beverley was born in 1689. She was the daughter of Peter Beverley. Anne Beverley died in 1744. (?) Whiting married Anne Beverley, daughter of Peter Beverley. Thomas Whiting was born in 1712. He was the son of (?) Whiting and Anne Beverley. Thomas Whiting died in 1781. Married Name Her married name was Fremont. Anne Beverley Whiting married (?) Fremont. Anne Beverley Whiting was born in 1781. She was the daughter of Thomas Whiting. (?) Fremont married Anne Beverley Whiting, daughter of Thomas Whiting. John Charles Fremont was born in 1813. He was the son of (?) Fremont and Anne Beverley Whiting. John Charles Fremont died in 1890. American Explorer. 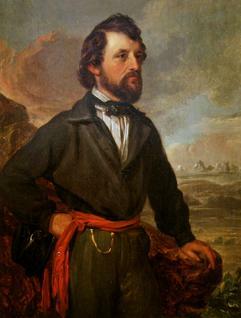 John Charles Fremont led several surveying expeditions through the western United States including the Oregon Trail and the Sierra Nevadas. Denzel Holles married Eleanor Sheffield, daughter of Edmund Sheffield and Anne de Vere. Married Name circa 1424 As of circa 1424,her married name was Carew. Joan Courtenay married Robert de Vere, son of Richard de Vere and Alice Sergeaux. Joan Courtenay was born in 1411. She married Nicholas Carew circa 1424. Joan Courtenay died in 1465. Nicholas Carew was born circa 1390. He married Joan Courtenay circa 1424. Nicholas Carew died in 1446. Nicholas Carew was born in 1433. He was the son of Nicholas Carew and Joan Courtenay. Nicholas Carew died in 1469. Alice Fitzwalter married Aubrey de Vere, son of John de Vere and Maud De Badlesmere. Alice Fitzwalter was born circa 1343. She died on 29 April 1401. Married Name Her married name was Tinsley. Margaret Taylor married (?) Tinsley. Margaret Taylor was born in 1705. She was the daughter of James Taylor and Martha Thompson. Margaret Taylor died in 1782. (?) Tinsley married Margaret Taylor, daughter of James Taylor and Martha Thompson. Edward Tinsley was born in 1730. He was the son of (?) Tinsley and Margaret Taylor. Edward Tinsley died in 1798. Judith Tinsley married (?) Wright. Judith Tinsley was born in 1774. She was the daughter of Edward Tinsley. (?) Wright married Judith Tinsley, daughter of Edward Tinsley. Married Name Her married name was Rucker. Rosamond Grant Wright married Ephraim Rucker. Rosamond Grant Wright was born in 1800. She was the daughter of (?) Wright and Judith Tinsley. Rosamond Grant Wright died in 1858. Ephraim Rucker married Rosamond Grant Wright, daughter of (?) Wright and Judith Tinsley. Ephraim Rucker was born circa 1778. Married Name Her married name was Montague. Cicely Reynolds married Peter Montague, son of Peter Montague and Eleanor Allen. Cicely Reynolds was born in 1605. She was the daughter of Thomas Reynolds and Jane Phippen. Cicely Reynolds died in 1660. Peter Montague married Eleanor Allen. Peter Montague was born in 1580. Eleanor Allen married Peter Montague. Richard Montague was born in 1614. He was the son of Peter Montague and Eleanor Allen. Richard Montague died in 1681. John Montague was born in 1655. He was the son of Richard Montague. John Montague died in 1732. Samuel Montague was born in 1695. He was the son of John Montague. Samuel Montague died in 1779.